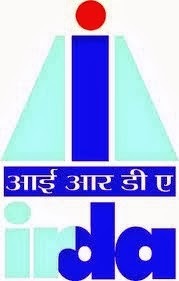 The insurance watchdog in India, Insurance Regulatory and Development Authority (IRDA) is inviting applications from retired insurance professionals from PSU insurance companies to fill 15 positions on a contract basis. To apply for the post, the candidates must have qualification in CA/CFA/CS/ICWA/LLB/MCA/B.Tech (IT)/FIII or equivalent and also should have experience in Audit/Inspection/Accounts/Legal/Information Technology/Insurance and have retired from any PSU insurance company in Scale–II or Scale-III. The candidate must not be above 62 years of age on November, 2013. The selected candidates will be posted at Hyderabad/Mumbai/New Delhi. Apart from a consolidated remuneration of about Rs. 40,000 per month, they’ll not be entitled to get any other facilities or allowances. The last date of receipt of application is October 31, 2013.